Looking for a bit of entertainment this week? When it comes to entertainment culture, there's plenty to keep you busy this week, from a matinee screening of a Western classic to a live studio taping. Read on for the top events to add to your calendar. Friday night, swing by the El Cid for a performance by music artists Elliot Reed, Tearist and headliner Xiu Xiu -- an experimental band formed in 2002 by singer-songwriter Jamie Stewart. When: Friday, Dec. 7, 10 p.m.- Saturday, Dec. 8, 2 a.m.
On Saturday, head over to the Autry Museum of the American West for a special matinee screening of "Unforgiven"-- a classic movie circa 1992 starring Clint Eastwood as gunfighter William Munny, who's brought out of retirement for one final job. The 35mm film was voted the 2018 audience Western favorite and will be introduced by assistant curator Josh Garrett-Davis. When: Saturday, Dec. 8, 1:30-4 p.m.
Price: $14 (General Admission) More ticket options available. 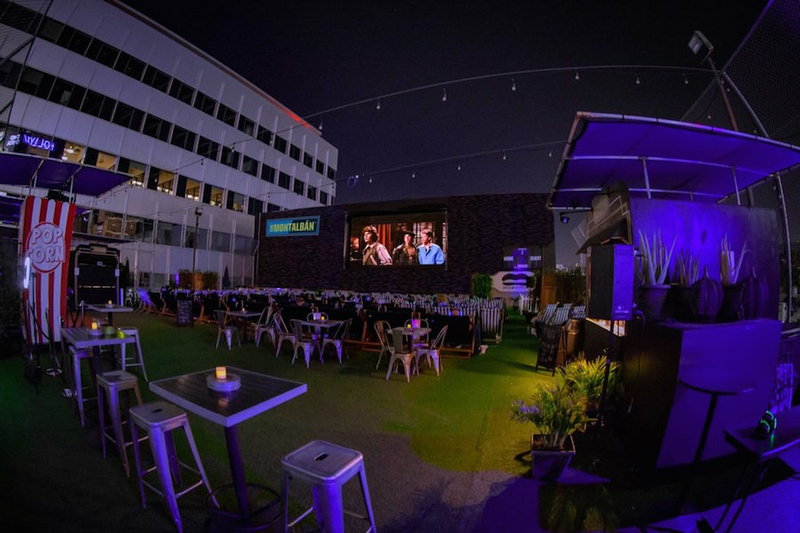 Check out a rooftop screening of "Trading Places" at the historic Montalban Theater, complete with spectacular views, fresh popcorn, cocktail offerings and specialty eats from culinary partner Umami burger. Where: The Montalban, 1615 N. Vine St.
Price: $10 (Lounge Seat); More ticket options available. Live Taping of "Man With a Plan"
Swing by the CBS Studio Center this Friday for a live taping of Matt LeBlanc's latest show "Man With a Plan." The "Friends" star plays Adam, a contractor whose wife (Liza Snyder) has returned to work, leaving him in charge with his "maniac" kids. Where: CBS Studio Center, 4024 Radford Ave.
Last but not least, head over to the Skirball Cultural Center for an afternoon viewing of "American Creed" -- a powerful documentary about what it means to be American in these turbulent times. A community conversation will follow the screening, led by director Sam Ball, film participants Tegan Griffith and Terrence Davenport, and Jason David ("Facing History and Ourselves").